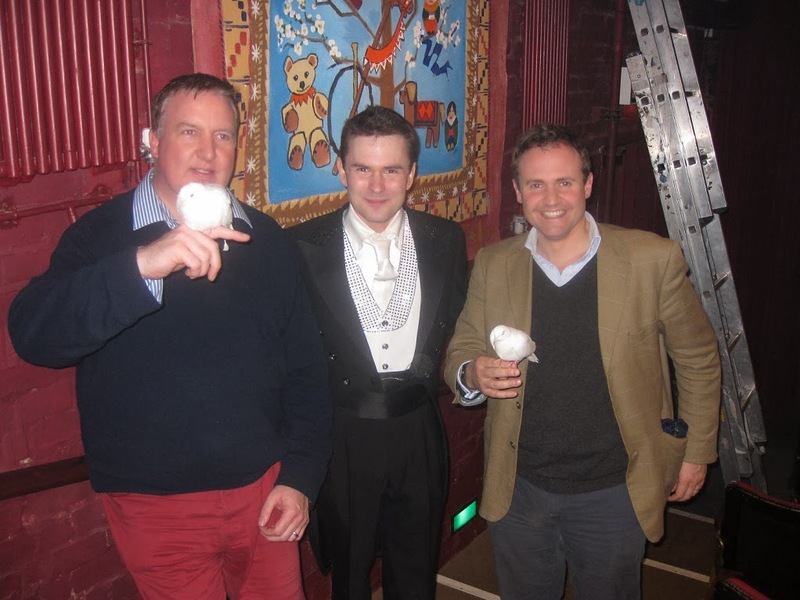 DIARY OF A CONSERVATIVE PARTY AGENT: The Toast of The Oast! 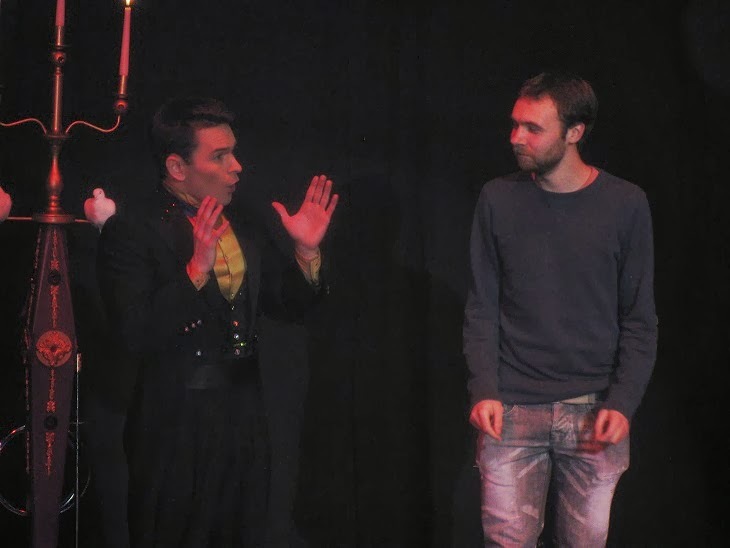 After months of planning, tonight was the much anticipated Association Magical Cabaret at Tonbridge's lovely Oast Theatre. The evening was a huge success. 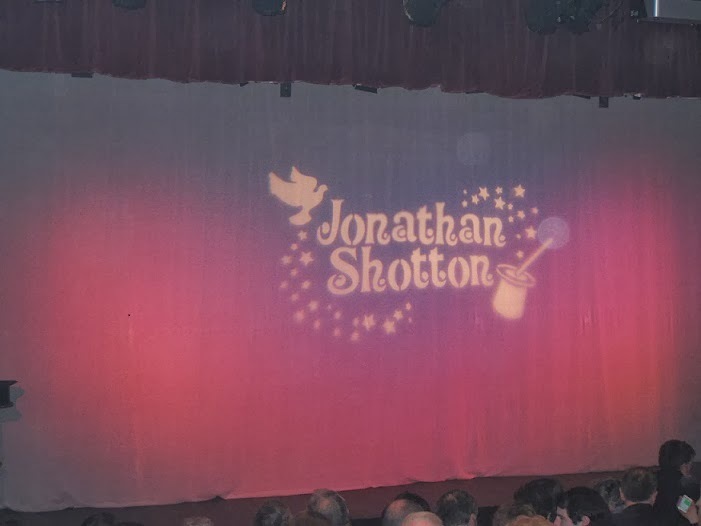 Jonathan Shotton was a consummate professional on stage (see his website HERE). 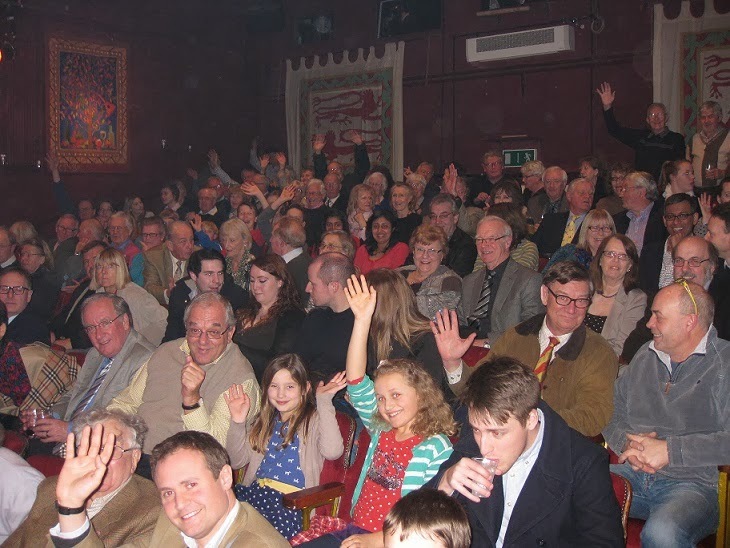 The volunteers who run the Oast Theatre did all that was asked of them, and more! Despite dropping the quiche and a row about the social etiquette of slicing cucumber, the Aylesford Conservative team provided a wonderful buffet supper for 120 guests and helpers. Janet Sergison once again ran the raffle and raised nearly £400. In the end, despite a few faint hearts who thought it wouldn't work, we sold every ticket and had a waiting list of 30. And raised £1,500 for Association funds! So a massive thank you to Jonathan Shotton and all the volunteers who worked so hard to make the evening a great success. Here are a few photographs, sorry some are poor quality but they were taken in a darkened auditorium. Every seat in the house was taken, and we had a waiting list of 30. Never mind "When Harry met Sally" here is the sequel, "When Botten met Shotton"
West Kent staff photo with the star of the show! 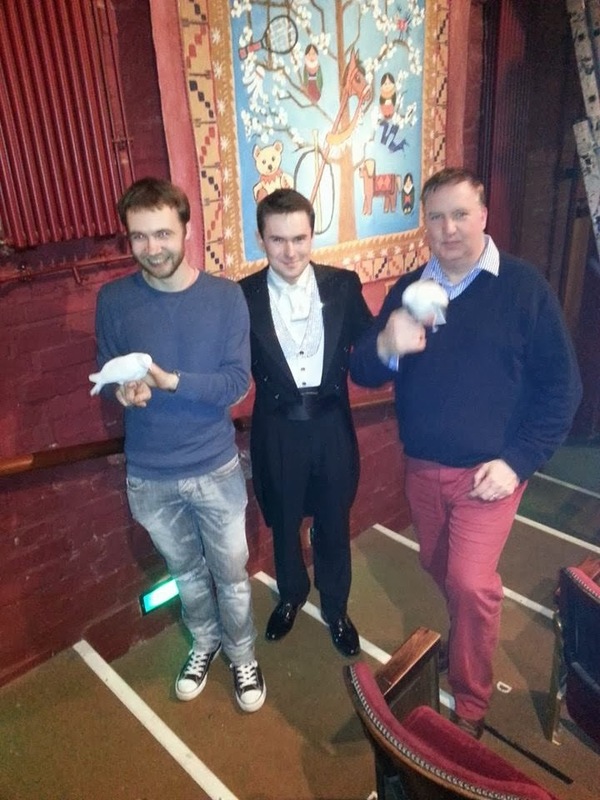 Or as my partner cruelly said, from left to right: "Botten, Shotton and Rotten".